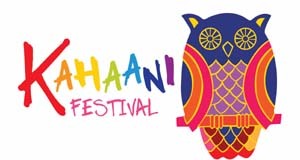 The Kahaani Festival looks to explore the various forms of storytelling and bringing to life the imaginations of young children through the oral tradition of story-telling, magic, theatre, puppetry, dance, music and much much more. Ishara International Puppet Theatre Festival - From modern and traditional forms of puppetry, ranging from rod to string puppets; to mixed performances with dance, theatre, music and more; audiences of all ages have been entertained with a variety of colourful, thrilling and spellbinding shows. International Drama Academy – An international premier institution which uses Drama as a medium and provides a self development programme for children from the age of 3 years to 18 years. Cricket Education Program in association with Cricket Australia - The CEP is designed for 9 -14 year olds. The Brand Ambassador of CEP is Brett Lee, one of the most successful Australian bowlers and the role models of CEP are Mike Hussey & Ellyse Perry.Cricket Kids is offered specifically for 5-8 year old boys and girls with the philosophy of teaching cricket in a child-friendly and interactive way. 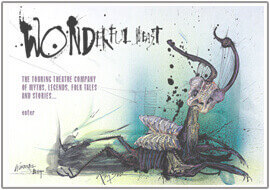 The Shakespeare Schools Festival (SSF) charity is the largest youth drama festival in the UK.